To say that video is a hot topic right now is an understatement. Nothing captures attention like videos. After all, vision is our dominant sense. According to a Cisco report, by 2021 video traffic will account for 82% of global Internet traffic. With this forecast in mind, brands are getting armed with product demos, educational videos, and animated explainers. With these videos they will showcase their offerings to prospective buyers. Informative and educational videos that offer real value help build brand awareness. Moreover, they demonstrate brand expertise in the field. Strong brand recognition underpinned by practical value can significantly increase customer loyalty. It drives conversions and boosts sales for the brand. A statistics report suggests that 81% of people were convinced to buy a product or service after watching a brand’s video. Now, let’s see how different industries can leverage educational videos to get in front of customers and increase overall retention. In this highly sensitive field, patient education is in the forefront. Education helps to provide better care. Moreover, it targets readmission rates. Further, it helps avoid burdensome hospitalization. Hospitals, pharma companies, and other industry players possess extensive knowledge. What’s more, they can easily turn this knowledge into clinically relevant and accessible video content. For example, Milner-Fenwick has transformed 40 years of experience into HealthClips. This is a library of more than 600 educational videos. The custom video platform covers the most relevant topics from cardiology to gastroenterology. Embed codes ensure seamless integration with a hospital’s website or a mobile health app. This allows medical staff to prescribe tailored playlists. With these, they educate patients on their conditions and self-management strategies. With a professional-grade video platform in place, you can educate your employees, too. Live streaming of medical conferences, lectures, and surgical procedures is a great way to ensure further learning and self-improvement of your medical personnel. This will result in a better patient experience and help build your hospital’s reputation. With many of us being visual learners, educational videos outperform any other form of teaching. They improve knowledge retention and enhance the learning process. Moreover, educational videos can demonstrate complex ideas in an easy-to-understand way. Proliferation of video technologies allows educators to flip the classroom. That is, students can review teacher-created video content before the class. They therefore spend the class time more efficiently. Perceived better than audio or text, video is the gold standard for online courses. Moreover, video-based content creates engaging learning experiences. It therefore attracts wider audiences. Additionally, massive open online courses, or MOOC’s, are gaining traction. The global MOOC’s market is expected to grow at an impressive compound annual growth rate of 30.12% during 2018-2022. By tapping into the full expertise of your academic staff, you can create professional online courses. These will help your students hone their skills and build successful careers. To boost your bottom line, you can put certain services like certificates or premium content behind a paywall. Global cosmetic companies and beauty gurus use the power of educational videos to build their audiences. These include makeup tutorials, skin care tips, and product reviews. Beauty videos such as these are the kind of content that many active users are looking for. What’s more, collaboration with influencers can help you take your explainer videos up a notch. They can also improve your brand’s visibility. For example, to drive social awareness, iconic brand Maybelline has partnered with beauty expert Nikkie de Jager for new web serials of tutorials. With a whopping 7 million subscribers on YouTube, the social media star helped the brand to significantly expand its outreach. Add an easy-to-navigate video section to your website to provide a better customer experience. You can do this either by sharing some tips and tricks with your viewers or showcasing your latest products. This can help you win customer loyalty and drive sales. Gone are the days of workout DVD’s. Today, fitness video bloggers, or vloggers, active use social media to engage their audiences. They do this by posting instructional workout videos online. Zuzka Light, a Czech fitness vlogger, knows how to inspire and retain her followers. Her YouTube channel offers a wide selection of workout videos. Moreover, some of them are as short as five minutes. Those who are ready to get serious can subscribe to ZGYM. Paid membership gives access to an archive of hundreds of workout videos on demand, as well as other premium content. Fitness studios now stream their most popular classes to widen their appeal and attract new devotees. For example, Barre3, a network of studios, has a subscription-based membership. This includes access to hundreds of workout videos (on demand and live streaming). Additionally, subscribers can view videos with recipes and meal ideas. Whether you own a yoga studio or a fully equipped gym, you can benefit from creating a library of on-demand video workouts. You can use a subscription-based, ad-based, or pay-per-view model. Additionally, help your users fit that workout session into their busy lifestyle. That is, think about developing a custom mobile app to support your users on the go. How Can Educational Videos Help Your Business? The list of industries covered in this article is far from exhaustive. 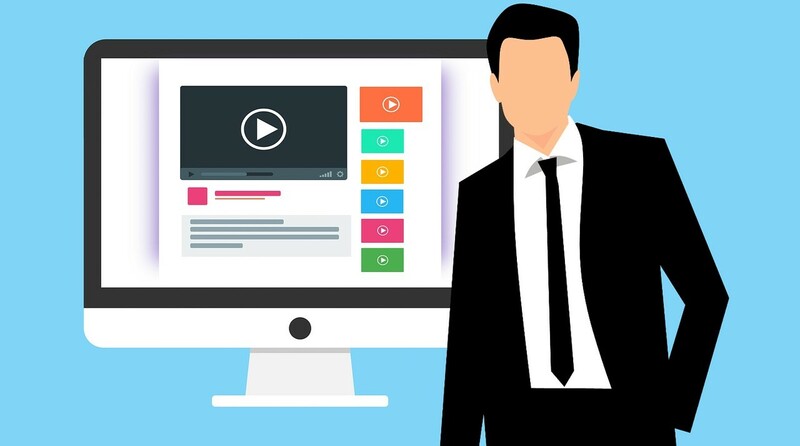 However, it might give you a hint as to how you can use educational videos to explain your value and drive growth for your business.